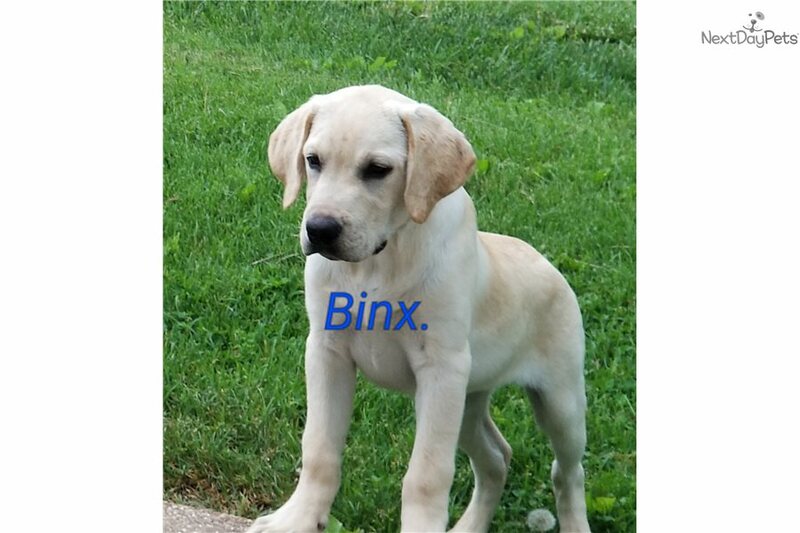 This Labrador Retriever nicknamed Binx sold and went to a new family. If you are looking for a lovable, sweet, easily trained puppy, then check out our labs. They are around everyday noises & interaction with children daily. We are a family business trying to help other families find a forever family pet or companion.